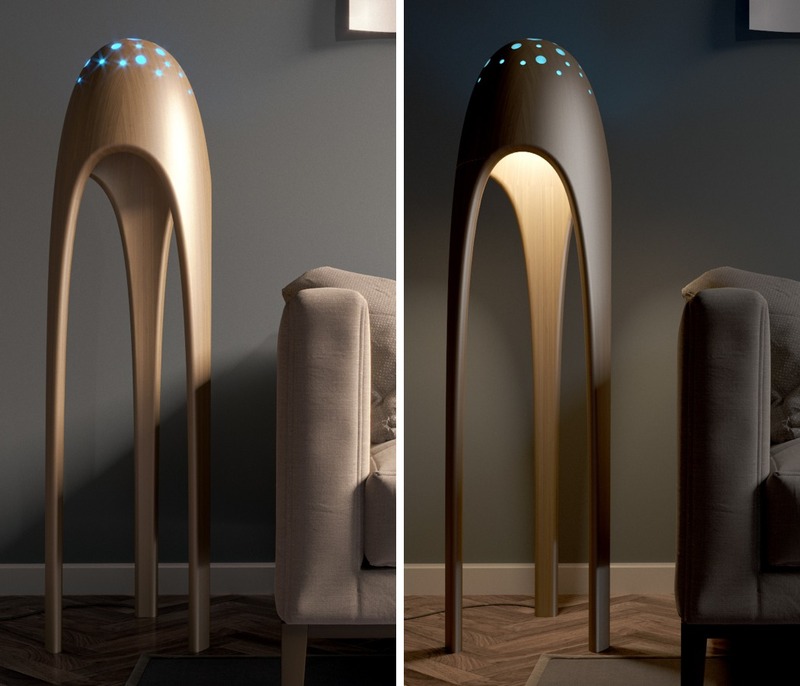 This far-out floor lamp takes on the familiar shape of a playful UFO! Called the Alien Torchere, its exaggerated legs and fluid shape are reminiscent of ones you might see in retro science fiction flicks. Decorative blue inlays inspire the imagination and look like windows for curious creatures inside! 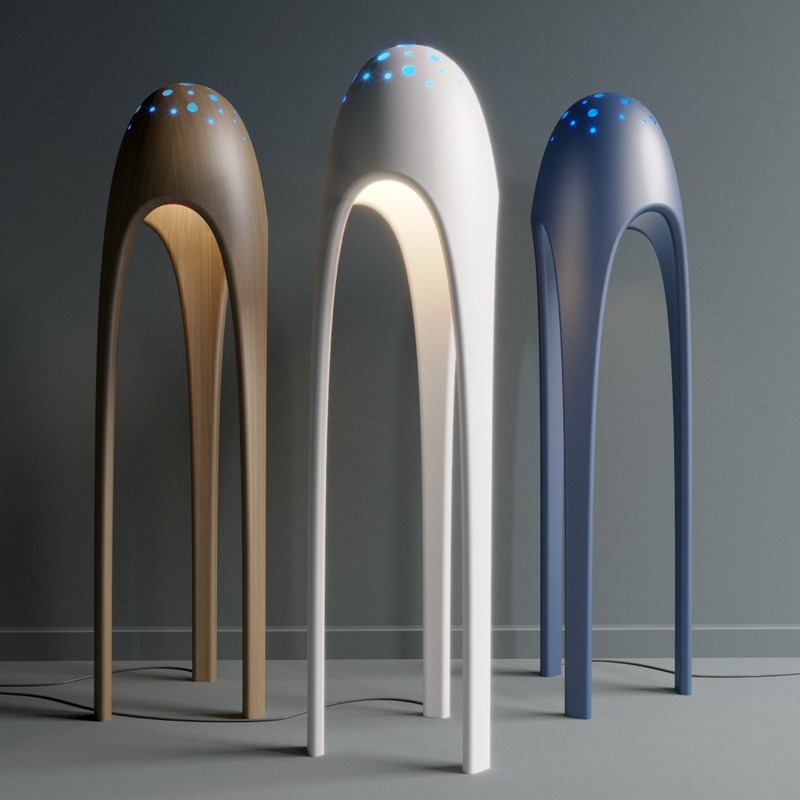 They also emit a cool blue light when the lamp is switched on. 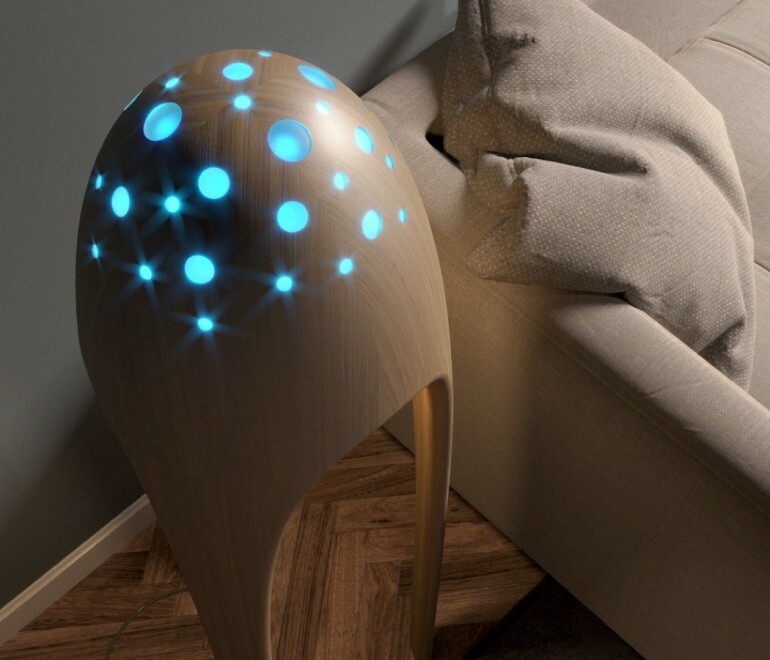 In contrast with its otherworldly form, its material composition is natural and organic in raw wood that’s polished to extraterrestrial-like perfection!